In this article, we compile all the best and interesting projects we have developed using Arduino. These days Arduino projects are used for academic course fulfillment as well. In any case, Arduino is a very interesting platform to build real world projects. Detect the presence of LPG or other types of gases like CH4, Butane etc with help of MQ5 gas sensor and Arduino.Â Send 3 SMS Alerts (with a message like ‘Gas Leaking at Kitchen’) to specified mobile numbers in the program with the help of GSM Module and Â ArduinoÂ Â Produce a Sound Alarm upon gas leak with help of Arduino and Buzzer.Â Turn the Relay ON with help of Arduino to activate a certain function – say cut off electrical supply to a kitchen! The program in this project also checks for shutdown process – that is – if the gas leak problem has been addressed and eliminated properly. Once the gas leak problem has been eliminated completely and the room is completely back to normal conditions, the project will reactivate its “gas leakage scanning mode”. Â This one is a very useful arduinoÂ based project – which finds lots of application in home and industry. A very power burglar alarm or intruder alarm system using PIR Sensor and Arduino – with SMS Alert (using GSM Module) and Sound Alarm. Send 3 SMS to a predefined mobile number set inside the program. Stop the alarm when reset switch is pressed. Also reactivate the SMS alert facility upon reset. This seemingly simple but feature rich projects is highly suitable for engineering course fulfillment and to install in home/office premises as a hobby setup. 1. Temperature Logger using Arduino – is a very simple project using Arduino and a Temperature sensor IC LM35 from National Semiconductors. The program monitors temperature every 2 seconds and displays temperature on the serial monitor of Arduino IDE. We have developed this project for learning purpose. You can enhance this project by giving some actions (like turning OFF or ON another system) at certain temperature limits. 2. Water Level Controller using Arduino -Â is a very useful project that you can build and set this up in your home. This project is designed such a way that it monitors many aspects regarding water level control. When the water drops below a predefined level, motor is turned ON and when it reaches full level motor is turned OFF.Â Level of water in the sump tank (source tank or water source like bore well ) is monitored to protect the motor from dry running. The system is designed to produce an alarm if any of the sensor turns faulty. 3. Ultrasonic Range Finder using Arduino – is another interesting project we have developed using Arduino and HC-SRO4 ultrasonic module. This ultrasonic module can measure upto 200cm and has an accuracy of 1 cm. This project can be enhanced to develop parking sensor systems and related applications. We have developed 2 versions of this project – where the first one uses 7 segment displays and the 2nd one uses LCD display for output messages. 4. Tachometer using Arduino – is a simple project to measure RPM (revolutions per minute). The sensor to pickup revolutions is created using an IR LED and an IR photo transistor. The project is designed with an option to control motor speed using PWM (Pulse width modulation). RPM and other important data are displayed on the LCD module. 5. Digital Code Lock using Arduino -Â is a simple combination code lock using Arduino. We have developed 2 versions of this project. The first one is very simple where a predefined password is set inside the program. The system checks for this password to OPEN or CLOSE the lock. The second one is an advanced one with features like setting user-defined password. The system will ask the user to SET a password at installation (the initial booting). User can change the SET password at any time later (the system will ask and check for current password before changing to new password). Note:- We have recently released an Advanced Digital Code Lock using Arduino – which is equipped with facilities like setting a User Defined Password, Locking on a Single Click, Changing the SET Password later on a Single Key Press etc. 6. Digital Thermometer using Arduino – is another simple project created using Arduino and LM35. If you have gone through Temperature Logger project, you might find this project too simple. The temperature can be displayed in Degree Celsius and Fahrenheit scales.Â The range is from 0 degree Celsius to 99 degree Celsius. Three 7 segment displays are used to display temperature. 7. LPG Leakage Detector – is a very useful project which you can scale to install in your homes. This project is designed using Arduino and MQ2 (an SnO2 based gas sensor). It is designed to display the amount of LPG leak and an action is set to turn OFF another system at a defined limit. You can further enhance this project to your requirements. 8. OhmMeter using Arduino – is a very interesting project for Electronics Engineers and Hobbyists. The project is designed to measure the resistance of an unknown resistor and display the output in LCD module. We have designed the project with auto-ranging feature, so you don’t need to manually select the range of unknown resistor. This project is very good to understand basic principles of multimeter. 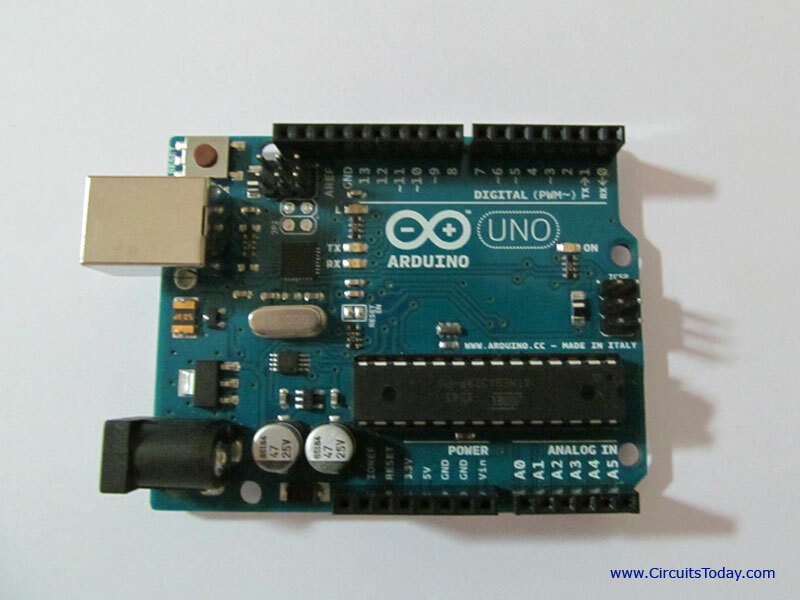 The articles we list below are for beginners in Arduino. You can go through them to get your hands familiar with Arduino and its way of programming. 1) Arduino for Beginners – is the very first article you should read, if you are hearing the word Arduino for the first time. You may read this article if you don’t have any idea about Arduino. 2) What is Arduino – explains you its basic details, what you can do with arduino and how to begin your journey. 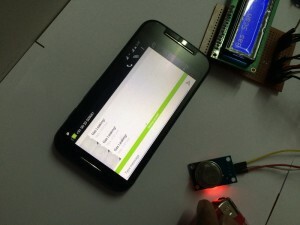 3) Blink LED with Arduino – your very first project using Arduino. Say “Hello World” using LED’s. 4) Simple LED Projects using Arduino – is a collection of simple LED based projects using Arduino. You can learn to toggled LED’s, control LED’s using push button switch etc. Very beginners stuff but you need to learn this to get to next level. 5) Interfacing Hex Keypad to Arduino – teaches you how to interface a hex keypad to Arduino and identify key presses. 6) Interfacing LCD to Arduino – teaches you how to interface LCD display to Arduino and display data on LCD module. 1) Interfacing Gyroscope to Arduino – teaches you how to interface a gyroscope and measure the changes in pitch, roll and yaw. Knowing how to interface a gyroscope is very important in building high end projects like quadracopter. 1) Voltmeter using Arduino – is designed to measure unknown input voltage. Output is displayed in volts on the LCD module. The circuit can measure anything between 0 to 5V at an accuracy of 50mV. 2) Line Follower Robot using Arduino – is a simple line following robot using Arduino. This line follower robot is basically designed to follow a black line on a white surface.The sensor consists of two LED/LDR pairs with appropriate current limiting resistors. We have read many books on Arduino to learn the board and how to program it. We have reviewed a couple of books we found really good to learn Arduino and build projects using the board. 1) 4 Books on Arduino Projects – is a review of 4 books which explains how to do different Arduino based projects. These books have the circuit schematics and Arduino Uno programs for over 100+ different projects that could be built using Arduino. 2) 3 Books to Learn Arduino – is for beginners in Arduino. These books helps you to learn Arduino by implementing practical projects (along with understanding the underlying concepts). plz suggest a new robotics project using arduino……………..?? thank you for the informative site. i am doing a project on underground cable fault detector, could you kindly help me with a prototype arduino code? new arduinos are so expensive…do you know where i can find used but properly functioning ones for a cheaper price? Any circuts available?? reasonable accuracy required – cost should be low. actually we are working on such a project now. I will add it soon.